Devil May Cry 4 was released in 2008 for the Playstation 3 and Xbox 360, as well as for the PC, making it the first in the series to go to other consoles outside of Playstation. The story revolves around Nero, a young member of a demon-hunting cult known as the Order of the Sword, who is tasked with taking down the series protagonist Dante, after he kills their head priest. So we have a new main character hunting the previous one this time out. Unlike Metal Gear Solid 2 and Raiden however I didn’t find Nero annoying. He is more brash and rude than Dante, with more of an angry streak, though his appearance is remarkably similar to Dante’s that many fans have asked what’s the point? He does mature as the game progresses and is pretty cool in his own right. The female protagonist this time is Kyrie, who shares a romantic interest with Nero. Kyrie however is extremely bland and has Princess Peach 2.0 written all over her. The most interesting thing about these characters though comes from the voice actors; Jonny Yong Bosch voices Nero, while Stephanie Sheh voices Kyrie, who both work on the anime series Bleach, playing very similar characters. Bosch plays the hero Ichigo, a brash and rude demon hunter, with an angry streak, while Sheh plays Orihime, who even shares Kyrie’s appearance, right down to the red hair and white dress! In terms of gameplay DMC 4 is interesting, in that it uses the DMC 3 control scheme but applies it to a different character, much in the same way that it worked with Virgil in the DMC 3 special edition. 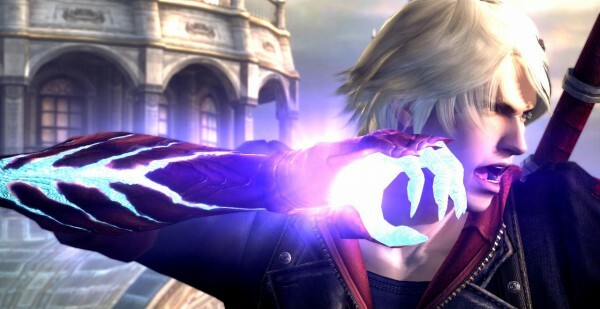 Nero’s combat revolves around the use of his Devil Bringer, a demonic arm which can be used to grapple enemies and slam them for a great amount of damage, though stronger enemies need softening up first. It’s especially awesome against bosses; each enemy reacts to the grapple command in a different way, so one enemy can be simple slammed into the ground while another is thrown like a javelin at a distant enemy, or on one particular boss you throw yourself inside its mouth, slash it from the inside then burst through the top of the head, so it rarely gets boring; some bosses even get grappled differently depending on where you grab them, like from the front, back or while in the air. The Devil Bringer can also be used to pull targets towards you or pull yourself towards them if they are too big, which increases the speed of a fight as you can go straight to them without having to cover a long distance, really adding to the hectic game feel. 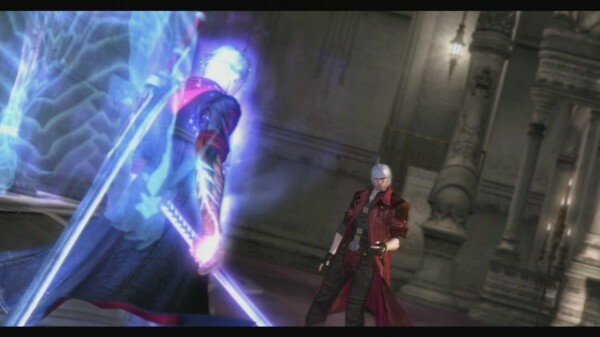 Nero’s sword is also different, in that it come equipped with an engine which can be revved up to deal an especially powerful strike, or if timed right can be revved to its maximum power mid combo, making your attacks feel more aggressive in comparison to the faster Dante and Vergil. His gun is slower too, with a charge function for an explosive hit. All of this creates a much different mood to the game that’s very stress reliving. His Devil Bringer is different too, summoning a ghost behind Nero that deals additional damage and changes the grab move into a more violent version, even on bosses. 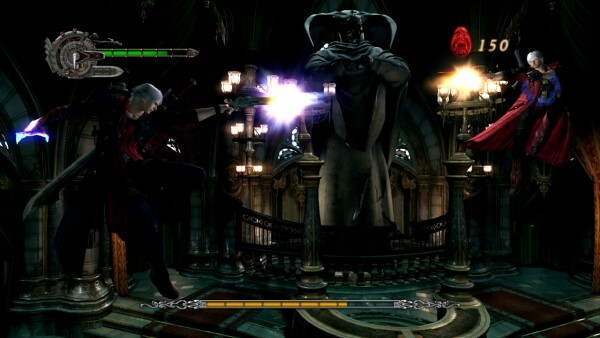 Dante returns too as a playable character around half way through the game, with more familiar controls. The style system returns too, though styles can now be switched between on the fly using the d-pad. As with the third game you collect new weapons from defeated bosses, and they got really creative with this one; the boxing glove this time is a shifting metal set of gauntlets and greaves which use spinning saws with punches and kicks, a suitcase that changes into different weapons, like a spinning blade, mini-gun, laser cannon or even a hover tank, and a set of explosive spears which can be stabbed into enemies before being detonated. However Dante’s levels are simply Nero’s levels but in reverse, though with a couple of changes like portals which bounce you around the level or ice which blocks off most areas. This isn’t uncommon in this series; in the first and third games the last third took place in the castle/tower with rooms switched around before going into Hell itself. One annoying aspect of the game is a game board which requires a dice roll to move forward, rewarding you with either enemies, red orbs or even a boss battle on later difficulties, which would be fine if it stayed to one point, but the last level is just a series of these combined with a boss rush. The game itself even makes fun of this, with Dante slashing the dice when he enters the same room in his levels. Overall DMC 4 is a fantastic game, if a bit flawed though they do little to distract from where this game shines. It’s a shame that there was no direct sequel from here, and after the recent reboot it’s up the air whether or not we’ll get a follow up to Nero, who turned into a pretty cool character with a lot of story to cover surrounding his Devil Bringer. 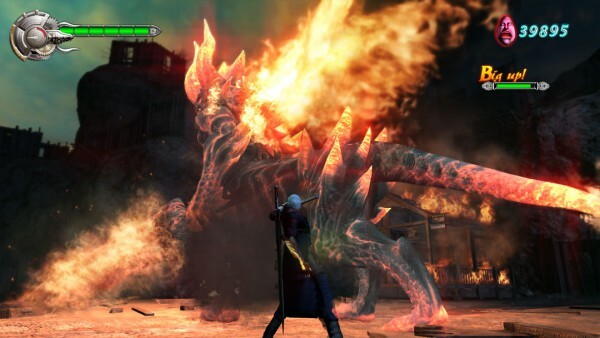 I suppose that for now I can just hope for Devil May Rising, and move onto the final game so far, DMC: Devil May Cry. That is the reboot game, not the first one. I hate having to make that distinction now! This entry was posted in Uncategorized and tagged Castlevania, Dante, Devil May Cry 4, DMC, Nero, PC, Playstation, Power Rangers, Video Games, Xbox. Bookmark the permalink.